LeVian is one of America’s Oldest Jeweler and was founded by Abdulrahim Ephraim LeVian. Abdulrahim Ephraim LeVian was born in 1922 in Mashad, Persia. He grew to become the founded of the Le Vian Company in New York during the 1950’s which now operates as a multination business. Abdulrahim Ephraim LeVian was known as the “King of Turquoise” in the 70’s and 80’s and as the “World Leader in Tanzanite” in the 90’s. Unfortunately, on February 7, 2000 in North Shore University Hospital in Manhasset, New York at the age of 78, Abdulrahim Ephraim LeVian passed away. LeVian is now in the trusty hands on Mr. LeVian five children, including Eddie LeVian, CEO of the Company. Abdulrahim Ephraim LeVian was known for his unstinting support of all immigrants not only from Persia, but from all over the continent helping them to start their own jewelry companies here in the United States and continuing to aid them as they build the success many of them enjoy today. The style and construction of modern jewelry owes many thanks to Abdulrahim Ephraim LeVian for his extraordinary vision and expertise. Abdulrahim Ephraim LeVian is known for reviving the lost art of “invisible settings” that originally initiated in France during the 1700s. We here at Osborne Jewelers Inc. are proud to bring our customers Le Vian Jewelry. Dating back 500 years, the LeVian family is known through the centuries for their historian collection of more than 50 pieces of jewelry and jeweled objects. All hand-made, the pieces are known for their exquisite design, master craftsmanship, and for the quality and cut of the gemstones. Today, the same quality is given to each of their jewelry pieces. 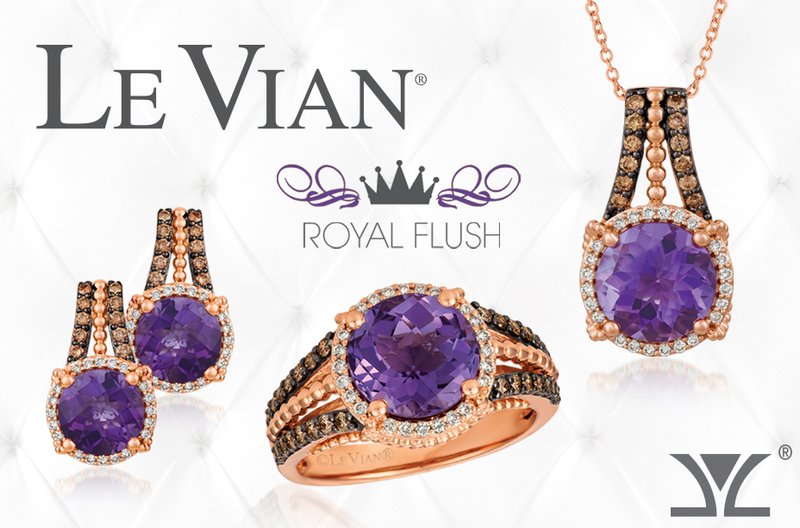 Osborne Jewelers Inc. carries LeVian collection of Rose Gold and Chocolatier. Stop in today to see more of LeVian Jewelry Collection and let one of our associates help you pick out the best LeVian piece.